First off, my apologies for such a late update. Due to being very sick for a few days (more than I can ever remember being), I was completely confined to bed, and am now just starting to regain my energy and stamina. Where to even begin? For starters, I’m in Thailand! It took a 15 hour flight, a 3 hour layover, and a final 3 hour flight, but I made it. Sometimes I need to keep pinching myself, just to make sure I’m really here. After 4 years, it’s very surreal to be back, this time alone. But I did it, I jumped. I’ve only been cliff jumping on two separate occasions, and every time I jumped, my heart pounded up to the moment I leapt. But after I did, I was glad I did so – the “rush” is a sufficient reward. The fear and doubt attack us most in the process of faith leading up to obedience. When we act apart from it (fear and doubt that is), it begins to lose its power, and its voice becomes weaker until we can barely hear it. 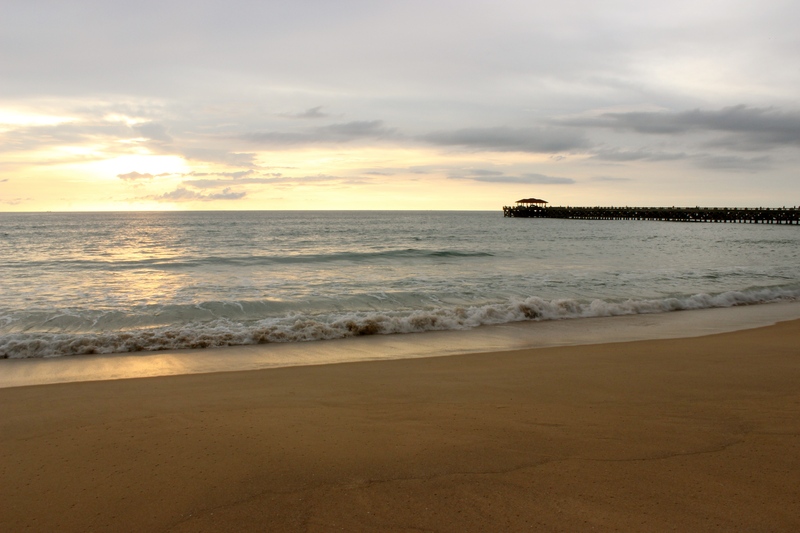 As it stands, my time in Phuket (in the town of Khok Kloi specifically) was wonderful (before being sick that is); the perfect place and way to start this new journey. It was neither too busy nor boring. I was able to participate in many things, such as early morning prayer (one of the more difficult I must admit), children’s ministry in the community, and I had the privilege and honor of sharing a message at a Burmese church one Sunday and at a home church meeting one night. Also, it just so happens there’s a YWAM base, YWAM Phang Nga, right next door (most literally) to the church I stayed at, which I had no idea about prior to my arrival. On top of that, it just so happens a team came in at almost exactly the same time as myself from an SBS (School of Biblical Studies) in Montana, for a short outreach phase in Thailand called Titus Project. I was able to spend some time with the team and the base staff, which was a great blessing and wonderful fellowship. Before getting sick, I came to some of the meetings where the SBS students taught an overview of the Bible to the base staff and a few local pastors and leaders, among others. I also taught English for an hour each afternoon at a small Burmese school (which only ended up being two days instead of five, again, due to getting sick). I was also able to hear some of the stories of a few pastors and leaders there, as well as witness their genuine and soft hearts towards their God, people, and nation. Some of these I will share over time, even if just briefly. I know that I’ve already been greatly moved and inspired, and I believe you will be as well. There are beautiful, telling stories all around us. Pastor Jum during early morning prayer. First, there is pastor Jum, the wonderful Thai “mom” I met and stayed with during my last visit. Pee (a polite Thai title often used before the name of someone older as a sign of respect, literally meaning “older brother/sister”) Jum diligently prays for her country and her people in Thailand and Phuket early every morning, as well as the rest of Southeast Asia, Israel, Muslims, the church, unity, and her family. She has had at least 215 straight days of morning prayer, and counting. Passionate and prayerful, with a heart full of love – this describes her well; one of the everyday heroes of the faith. Her life is the evidence of surrender. One morning, after prayer, we sat down and spoke, and I heard some parts of her story. The language barrier sometimes makes communication difficult, but she speaks English fairly well, and as best I could understand, this is what she told me. Pee Jum was saved around 15 yrs ago when she was in a desperate state. She had started a business around that time, but lost everything when the Thai economy went through a major crises in the late 1990’s. She had thoughts about committing suicide, and went to different religious temples seeking help, but could find no relief. “Every door closed,” she said. No one could help her, not even her family. From what I gathered, Jesus then gave her a revelation in her spirit, though at the time she did not realize what or who it was. She eventually met some Christians, by “chance” it would seem (though we know better), who proceeded to share the gospel with her. Though at first she confessed with her mouth, her heart was not immediately effected; but as the Christians continued to pray for her, she felt her heart begin to change. This may in large part explain her unyielding commitment to prayer for others to know Jesus. At one point of her life, maybe 13 years ago (not long after she was saved), she was sentenced to serve a jail sentence due to the debt she was unable to pay back from the failed business. From what I understand, her church even offered her money to put towards the debt or possibly even pay in full (of the exact details I am unsure), but she refused to take it. Why? Because she felt like God would have her go. So, she went for 3 days, sharing the gospel and seeing 20 people come to know Jesus. For some time afterward, she continue to go and minister to them as she could. To this day, I believe, there are still some of these Christians there. Through the years she has been connected with IHOP and YWAM (who she still works closely with, as they are conveniently situated next door). She has started and pastored at least a few churches, and shared the gospel with many people. She began sharing the gospel with the Burmese in her area some time ago, and eventually began a children’s ministry and school among them, which is now run by a Burmese man, Thant, and his wife, who also lead the Burmese church. Her children’s ministry continues to this day, which I was able to observe firsthand. Pastor Jum and some YWAM staff go out into the community in Phuket and do children’s ministry for some local Thai children. The children sing some songs, hear a Bible story, and go to the beach afterwards. She said she’s learned to pray for people everyday, pointing back to when she first met Jesus. From the beginning of salvation, she knew God anointed her, to share the gospel and start churches. From what she spoke, she has had many powerful encounters with God. 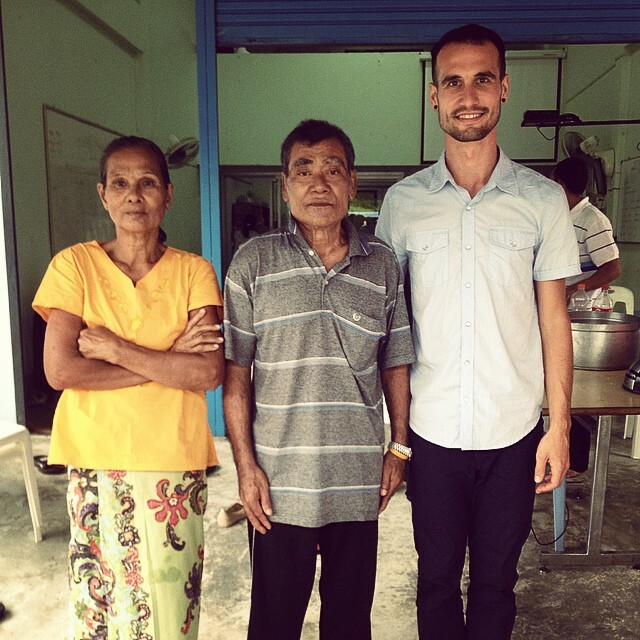 The latest occurrence has been seeing her nephew come back to the Lord after being involved in drugs and alcohol, which, among other things, seem to be pervasive problems in some parts of Thailand. She told me she had been praying intensely for him for some time. There’s much, much more I could write about, even though it’s only been two weeks. But let’s save that for later. 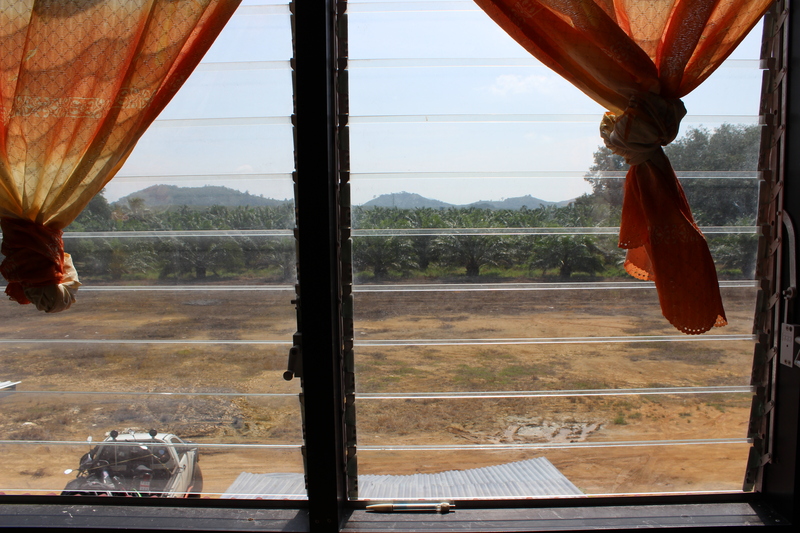 The view from my room after arrival – no longer a dream, but a reality. 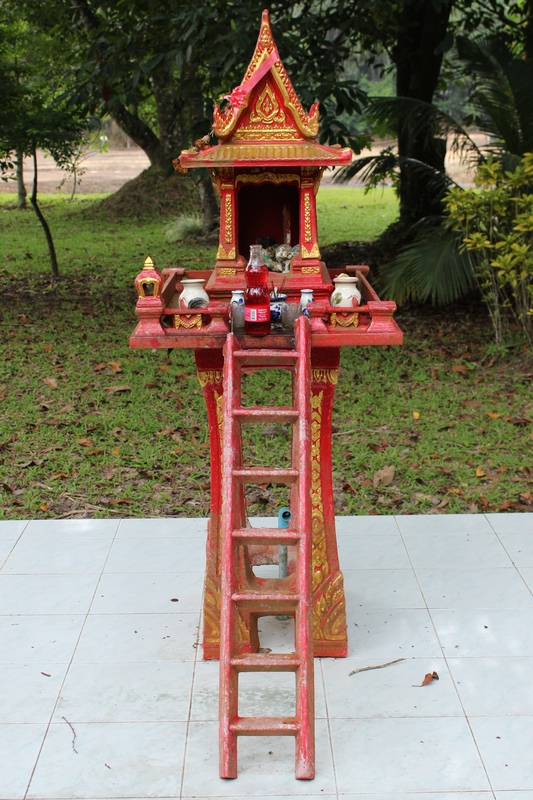 In Thailand, “spirit houses” are small shrines that can be seen at many homes, businesses, and establishments. It is prominently placed on the premise as a shelter for a spirit or spirits, and should be fitted with a small offering. Spirit houses are supposed to ensure that the Guardian or Protector of the House and/or Business (often in the same building) watches over and protects the property and people. It’s believed that spirits may be good, evil, or just unpredictable and mischievous, being capable of causing disaster, harm or the failure of a business if neglected and not appeased. The Burmese children at their school. Thant (top left), along with his wife (3rd from top left) left a better paying job to begin working with the Burmese school. Basically, they receive little to no outside support, and Thant and his wife receive a very small salary (some of which goes towards expenses for the school). “We have enough,” him and his wife said with a smile (they also have a 3 1/2 year old son). Since the Burmese children are illegal immigrants (most of whom were born here from what I understand), they don’t receive education from the state, not being eligible for Thai public schools. So, out of the goodness of their hearts, this Christian Burmese couple serves these families by giving their children education. Otherwise, some of the children would not even know how to read their own language (Burmese). Many of their parents, or fathers at least, find work in the fishing industry. 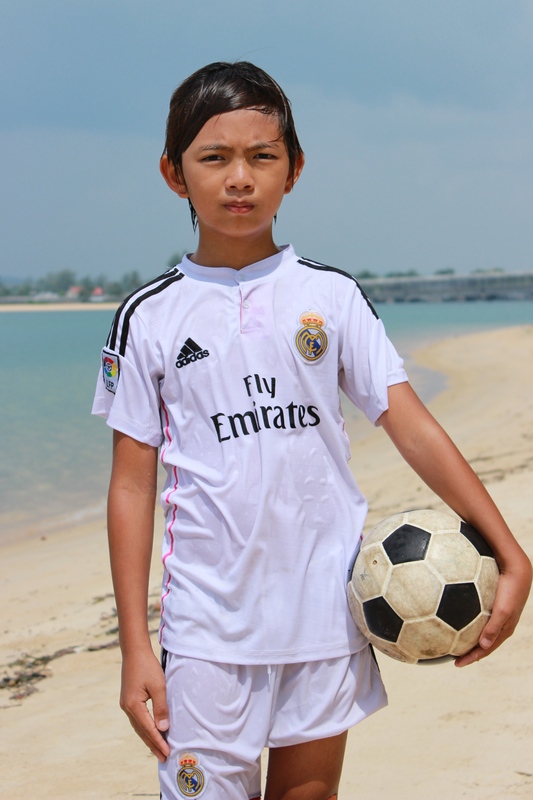 One of the Burmese boys when we spent time at the beach. 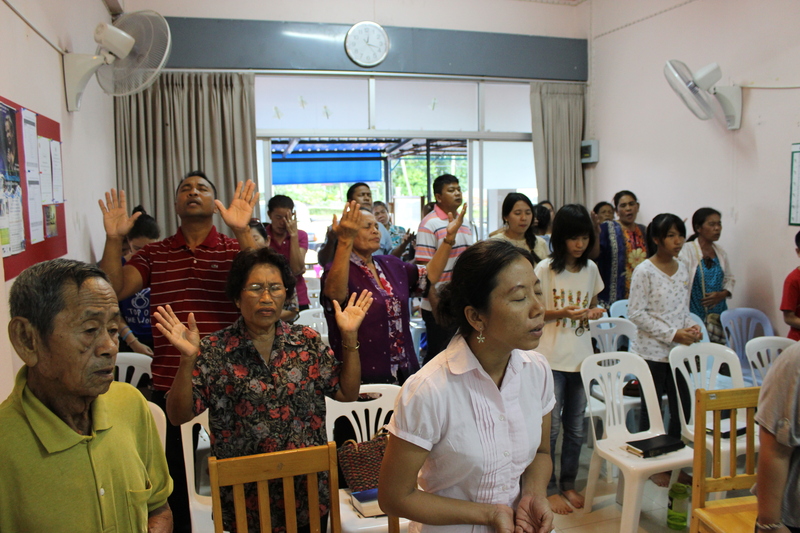 On this morning I had the privilege and honor of sharing at a Burmese church. Afterwards, when I offered to pray, this husband and wife came forward. After praying over an area of pain that the man pointed out, I asked the pastor to translate and ask the man if the pain was gone. From what I could understand, the man replied that it was. According to the pastor, this Burmese man had been a Buddhist monk for 7 years before becoming a Christian 2 years ago. Some Burmese travel around 1 1/2 hours to come to church, and on this day it was pouring rain. Many have come to Thailand over the years from Burma/Myanmar to look for work; most men end up working at sea in the fishing industry. From what I understand, many are illegal immigrants, and therefore have few to no rights in Thailand. Something I love about traveling is seeing how a meal is such a prominent aspect of fellowship. 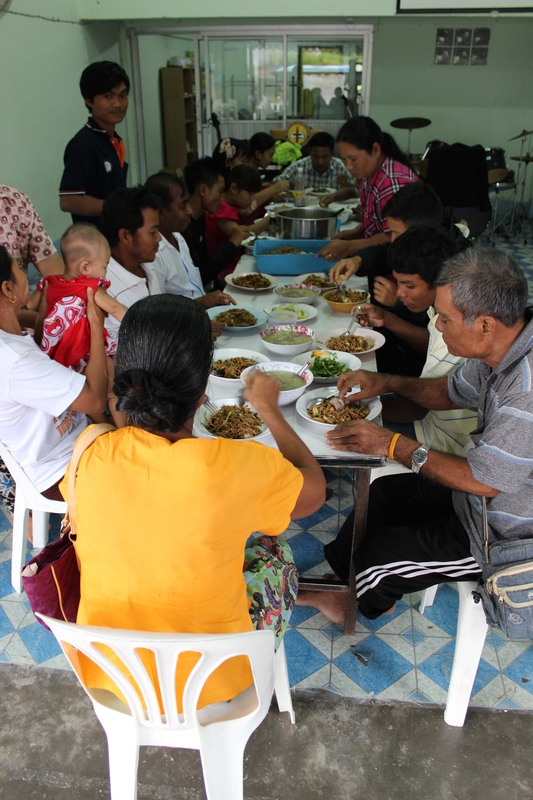 There is almost always food after a church service, as there was at this Burmese service. One of the Burmese students working on writing English words during a lesson. Lastly, yesterday I finally traveled the 9 hours to Hua Hin, where I will be for almost a month as I take my TESOL course. I will be with lots of other Western students, so I am looking forward to building some new relationships and tackling a new challenge. Pray for a quick transition, as I do feel a little disoriented and out of sorts since being sick and am arriving a day or two late as well. Pray also for strength and stamina, and that I stay healthy and focused during my time there. Thank you all so much for your support and prayers – I couldn’t do it without you.